The humor: the banter among the Weasleys at the Leaky Cauldron before they and Harry leave for Hogwarts, imagining Boggart-Snape dressed in Neville's grandmother's clothes, and Professor Trelawney's outlandish behavior in Harry and Ron's first Divination class (plus McGonagall's reaction to it). I don't know why I don't usually think of this series as funny; there have been quite a few laugh-out-loud moments so far in these re-reads. The introduction of Remus Lupin. He's my favorite of all the Defense Against the Dark Arts teachers, and I love that his first interaction with Harry is to give him chocolate after the Dementor attack. Hagrid as the instructor for the Care of Magical Creatures class. I'd forgotten that he hadn't started out in this position, and I loved the way Harry, Ron, and Hermione tried to help him succeed in his first class, even when Malfoy was determined to make a fool of him. The hints that Hermione is using the time-turner. Though we don't find out until later in the book that Hermione is using time travel to make her intense courseload possible, all the clues are there from the start, and they fly just far enough under the radar to keep the mystery afloat. 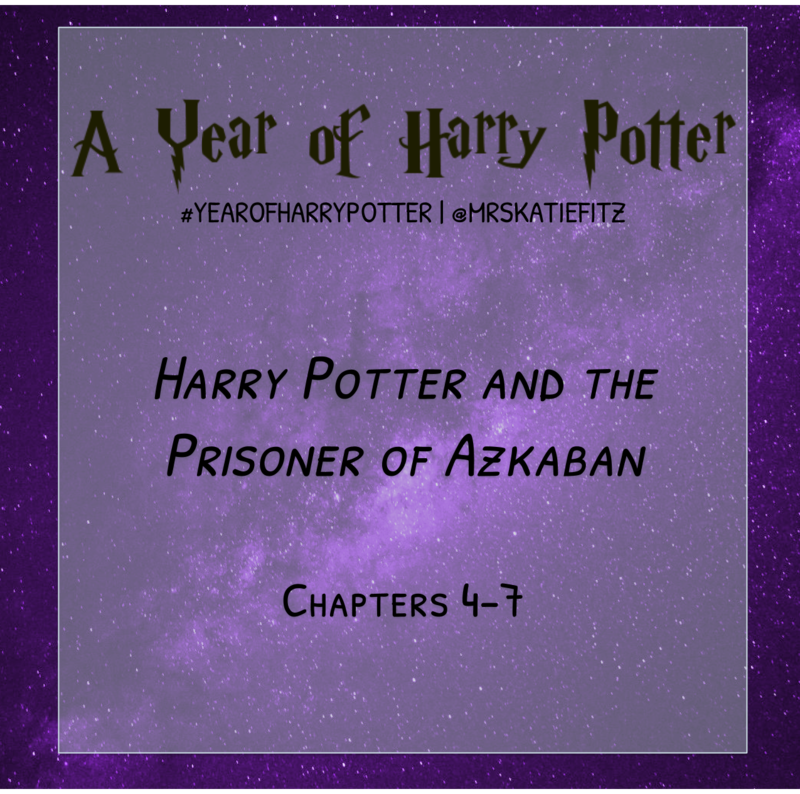 Scabbers's odd behavior, which re-readers will know instantly is because he is really Peter Pettigrew, and he is reacting to the possibility of encountering escaped prisoner Sirius Black. So far, of the first three books, this seems like the one that is the most rewarding to re-read. I'm excited for the next set of chapters, which will introduce the Marauder's Map and explain what a Patronus is for the first time.